It was a bit of a later flight than usual out of Kerikeri today. By the time Egbert and I got in to New Plymouth/Ngāmotu it was almost dark. 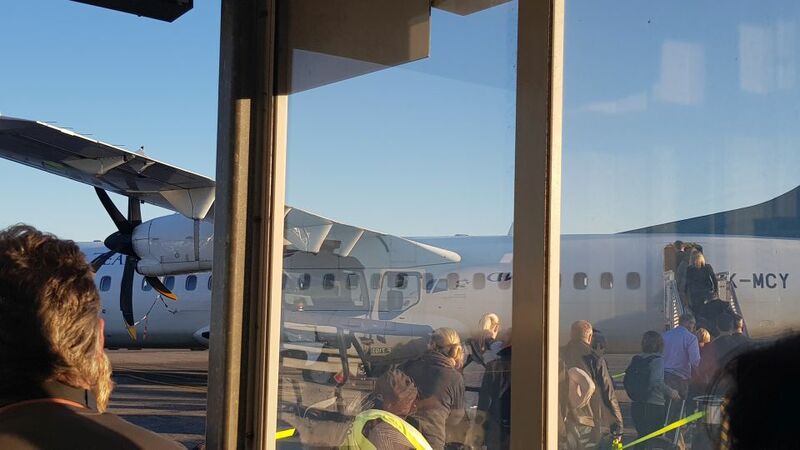 You can’t fly direct to New Plymouth from Kerikeri, so you need to go via Auckland first. “Via” means that you travel through a place on the way to a destination. When you are mapping out travelling routes for example, you may decide to visit a place because it is nearby along the way to where you are travelling. Or in some cases you may have to go via some place because there simply isn’t any other option. It’s not a long flight to Auckland from Kerikeri. It certainly beats a 3 plus hour journey in the car! In fact, Google maps says 3 hours 45 minutes for the 271-kilometre journey from home in Kerikeri – that’s via the road of course. We had an hour wait before the next flight. Even so, it’s still quicker flying! Some people like travelling. Maybe they enjoy the scenery along the way or just like sitting for long periods doing very little. Me, I just like to get to where I’m going in the fastest way possible! Google maps says the car journey from Auckland to New Plymouth is around 4 hours 45 minutes for the 360-kilometre route. “Route” is another one of those mapping terms you may have heard. It means ‘a way or course taken in getting from a starting point to a destination’. When you are planning a journey somewhere, whether it is by foot, car, plane, rail, or sea, there are often different routes you can take. Google maps works well for me because it always shows the fastest route by default. But you might plan a different route that takes longer because, for example, it has better views along the way, or it may take you via a place where you have a friend you’d like to visit. Wherever you go and however you get there, maps play a very important part in travel planning. 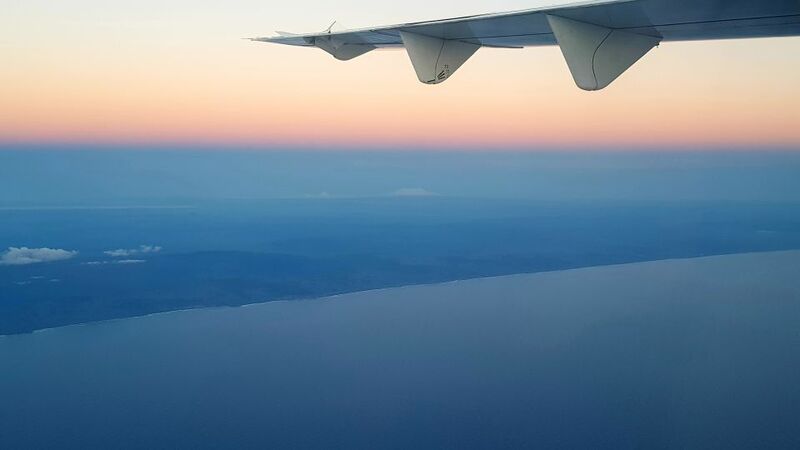 We flew down along the coast from Auckland to New Plymouth. It’s cool to see the outline of the coast because you basically see the shape of the country. Of course, if you were higher up in the air you’d see the entire outline of the country. Satellites get this view from space, which is how many maps are created today. It amazes me how accurate early maps of New Zealand were. Captain James Cook created the first complete map of New Zealand’s coastline, and he didn’t use a satellite image for it! You can see an image of what this map looks like on the background page Maps and mapping (http://www.learnz.org.nz/mapping183/bg-standard-f/maps-and-mapping). I read somewhere that for James Cook, making new charts was his main reason for going to sea. You might like to find out more about how these and other early maps were made. That’s all from me for today. I’m getting a bit peckish so will head off to look for some dinner. Catch you tomorrow for the first web conference at 9:15am on Puniho Marae. 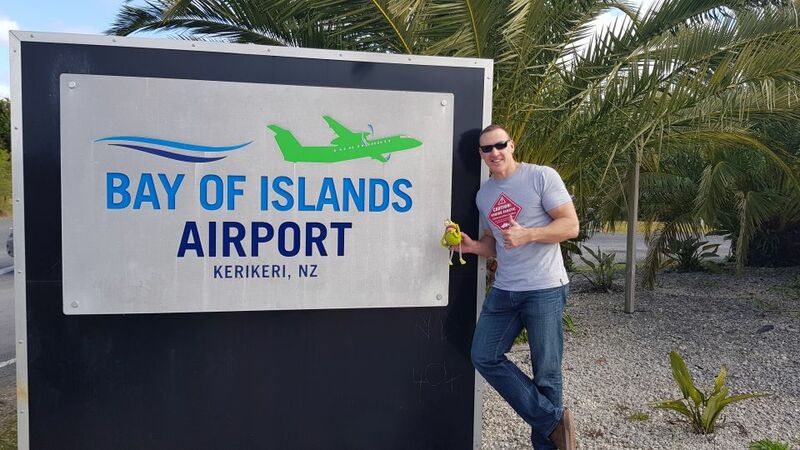 Andrew and Egbert at the airport in Kerikeri. Image: LEARNZ. 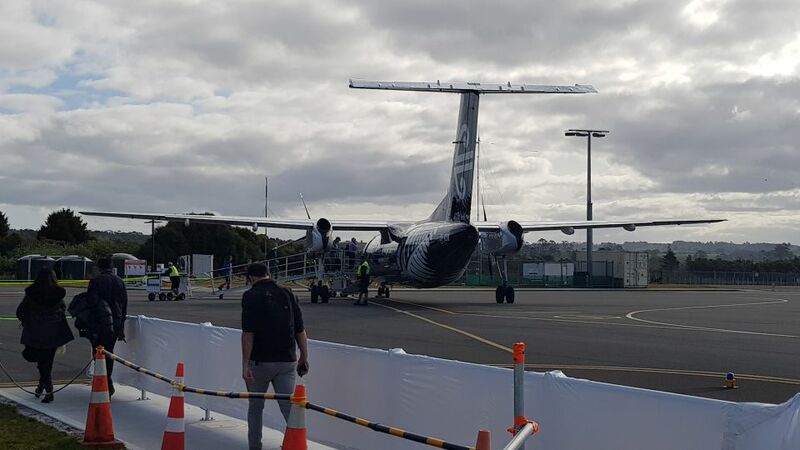 Heading to the Bombardier Q300 aircraft at Kerikeri airport. Image: LEARNZ. 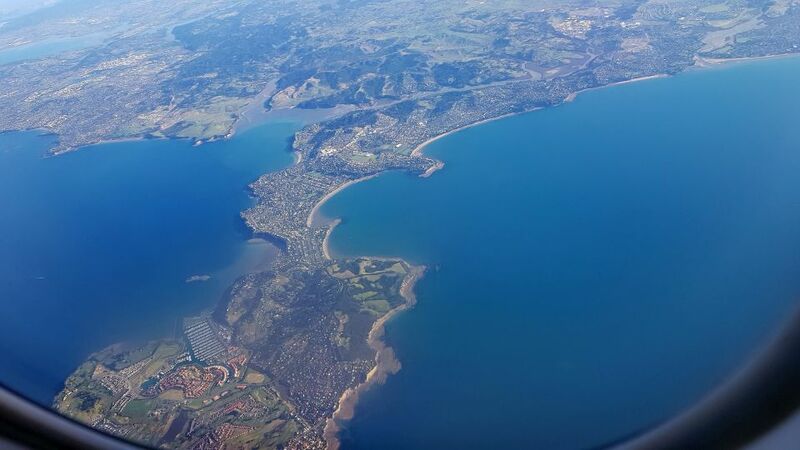 Looking out over Whangaparāoa Peninsular on the way down to Auckland. Image: LEARNZ. 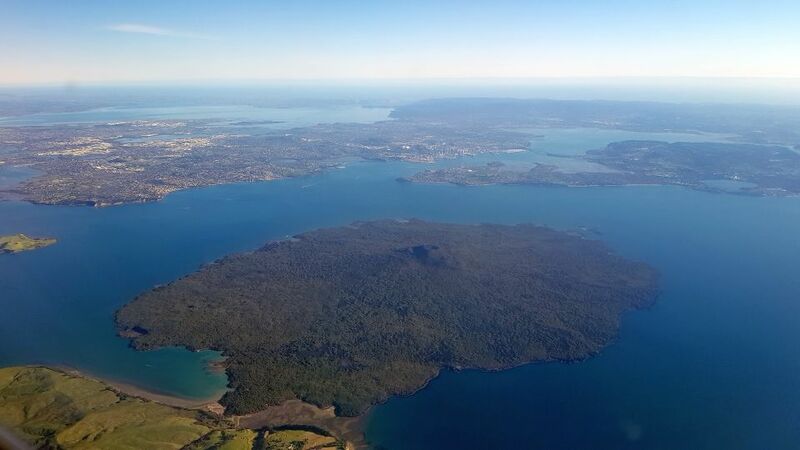 A great view over Rangitoto towards Auckland CBD. Image: LEARNZ. I love the way water creates curved 'S' like shapes as it makes its way towards the sea. 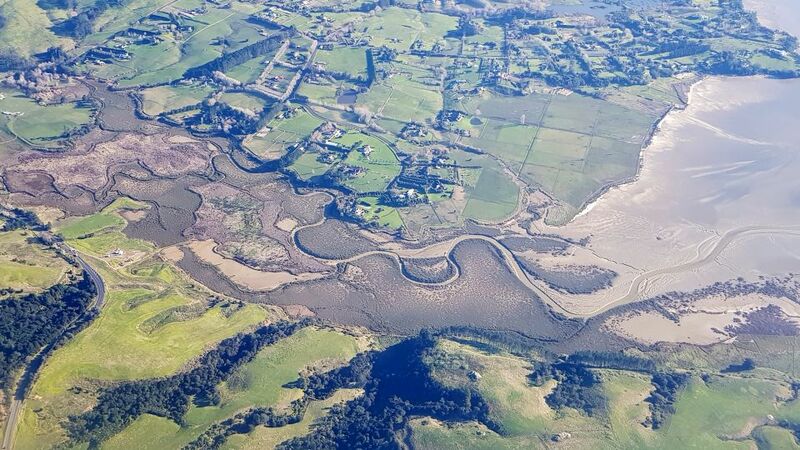 A creek cuts through mangroves at low tide on the Manukau Harbour. Image: LEARNZ. About to board flight number two for the day. Image: LEARNZ. Looking down the coast on the way south to New Pymouth. 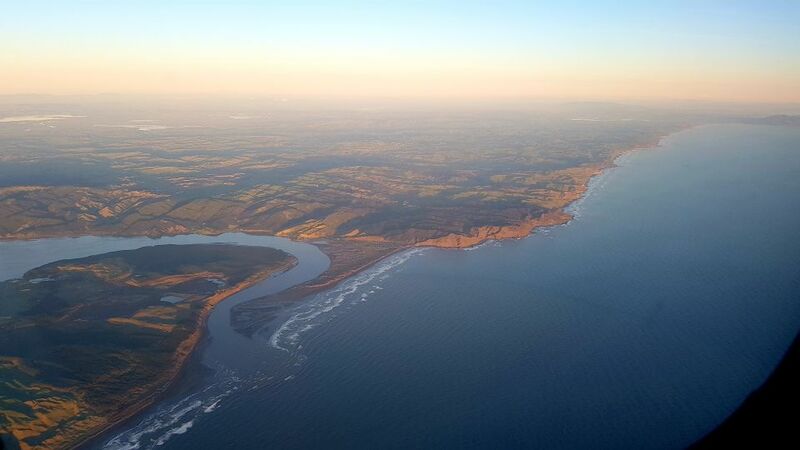 Here you can see Port Waikato. Image: LEARNZ. A bit hard to see, but in the hazy distance are the volcanoes of the Central North Island. What are their names? Image: LEARNZ. 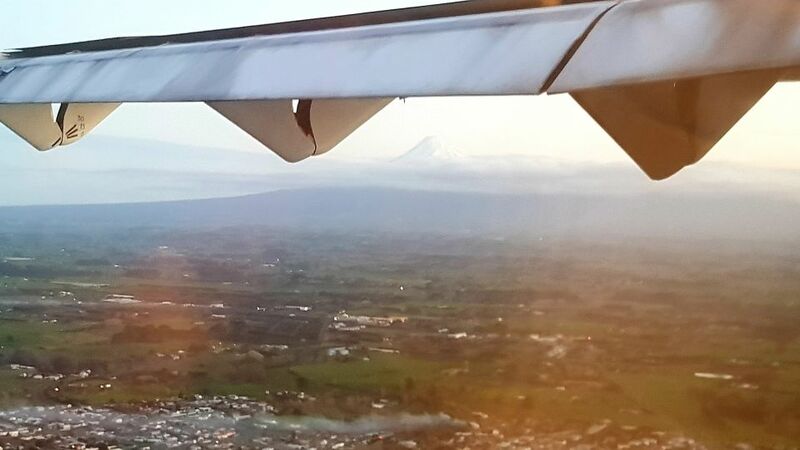 Not the greatest photo, but you can just make out Mount Taranaki before landing in New Plymouth/Ngā motu. Image: LEARNZ.